Mgoun Trek: 6-day hiking and climbing Mgoun mountain begins from Ait Bougmez valley. 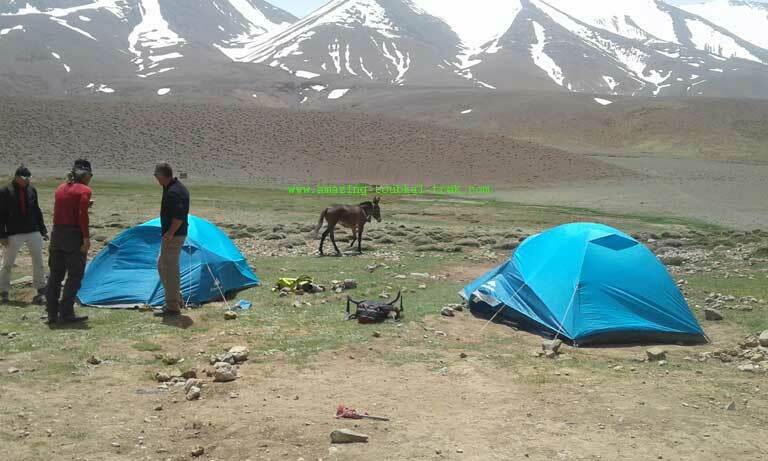 During this trek, you will explore the central high Atlas mountain and camping in wild high pastures spots. 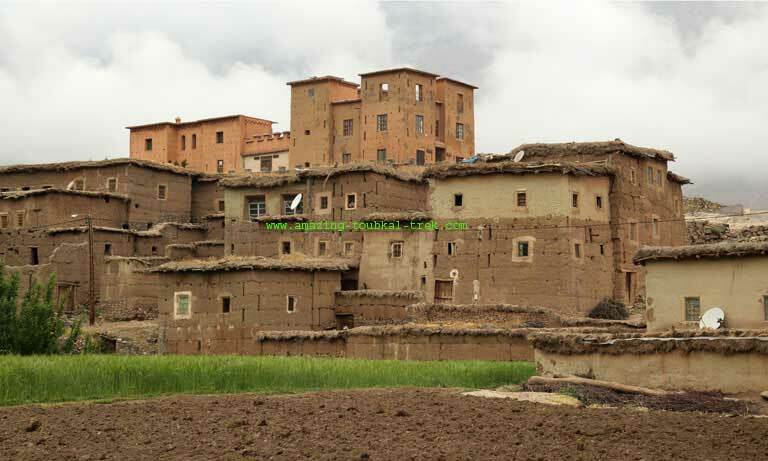 The trail of Mgoun trek climbs over Tizi Aghouri to the fantastic plateau of Tarkddite. From the plateau, you climb to the Summit of Djebel Mgoun, the third highest peak before trekking down to Oulilimt valley. Finally, the path continues from here across Tizi n’Ait Imi and descends back to Ait Bougmez valley. – Walk through some spectacular and the best parts of the Mgoun area. 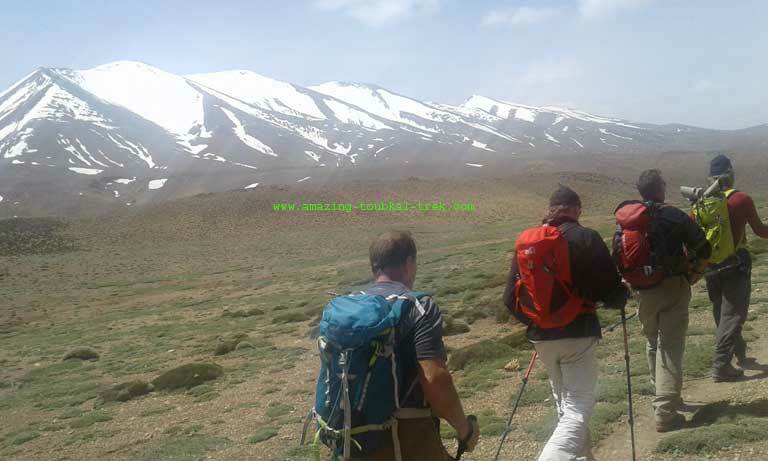 – Climb mount Mgoun, the second peak in the High Atlas mountain range. After an early breakfast, we set off to the beautiful Ait Bougmez valley, which is a five hours journey. We meet our mule team there and spend the night in local Gite at Timit village. In the morning, we leave the valley and head to the valley of Arrous. We climb the narrow valley to pass Arrous and head up to the gorges. After lunch, we continue by taking the path to the summer grazing pastures of Imi N’kkis. Overnight here camping in tents. 5 hours trek. The Mgoun ascent continues, we climb to Tizi-n-Oumskiyd pass then to Aghouri pass. We will enjoy spectacular views of the Mgoun Ridge and the plateau of Tarkeddite. After taking a break, we descend to the vast plateau, summer pasture of the nomadic Berber people. Overnight in tents. 8 hours of trekking. Today is the day of set aside for climbing up to Jebel Mgoun, which is the only 4000m that lies outside Toubkal Region. We will enjoy the beautiful views of the mountains and panoramic views of the high Atlas Mountains that lies northeast and southeast. 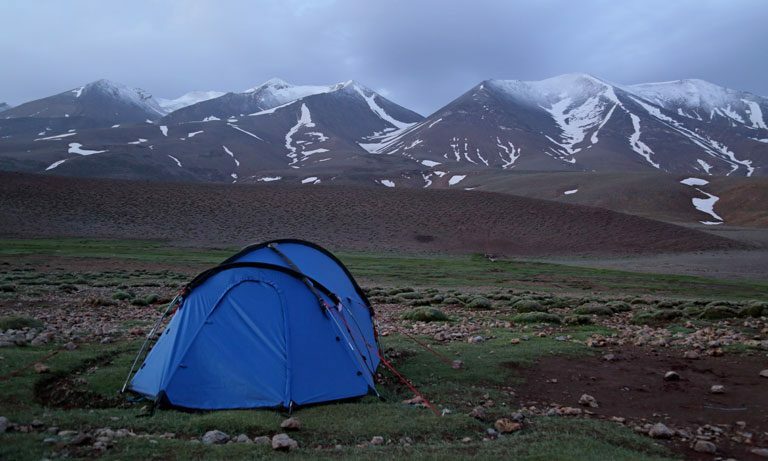 After a rest, we descend to the Oulilimt valley and spend the night camping in tents. The estimated duration of the trek is 8 hours. Leaving Oulilimt valley to climb Tizi-n-Ait Imi which is 2900m high. We will enjoy excellent views from all directions at this pass. After a while, we descend back to the valley. Overnight in local Gite in Timit. 6 hours of walking. We head back to Marrakech early in the morning after breakfast. Overnight in the hotel. End of Mgoun trek. – The Mgoun trek is available and can be arranged for groups of all sizes. – Further discounts are available for group sizes over 8 people. Mgoun trek to climb the highest peak in Morocco’s central high Atlas mountains. Mgoun Trek Morocco, Hiking and Climbing Mgoun Mountain.